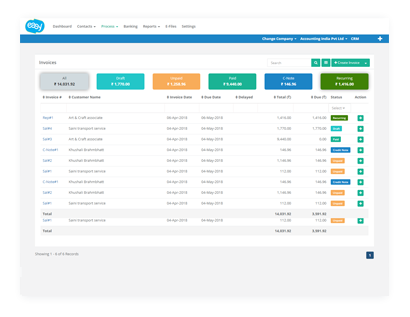 Create professional invoices and customise them using your company logo and color scheme. 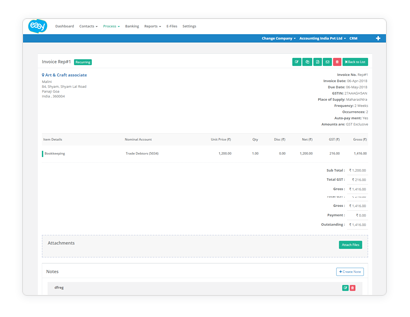 You can choose the information you want to display on your invoice. Attach any documents to your invoice. 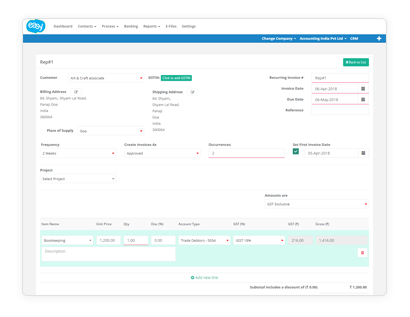 Ready to invoice your clients? 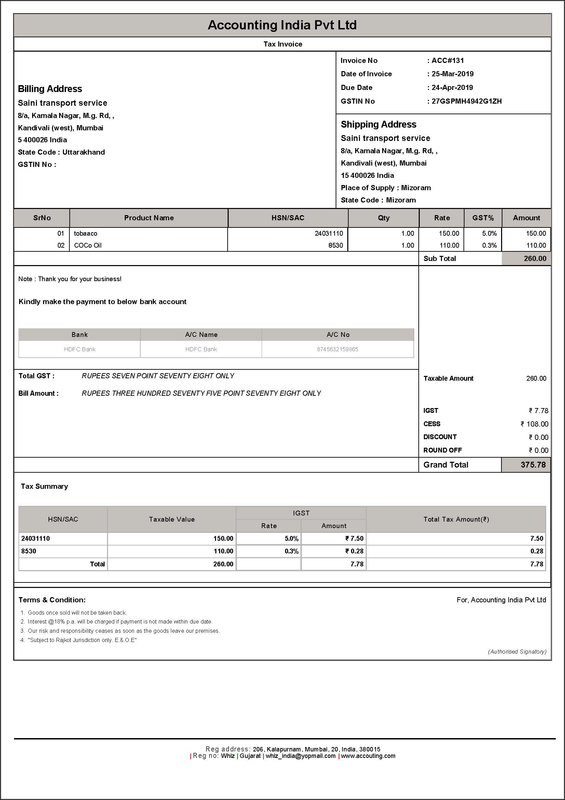 Use our easy to use free invoice templates to get started. 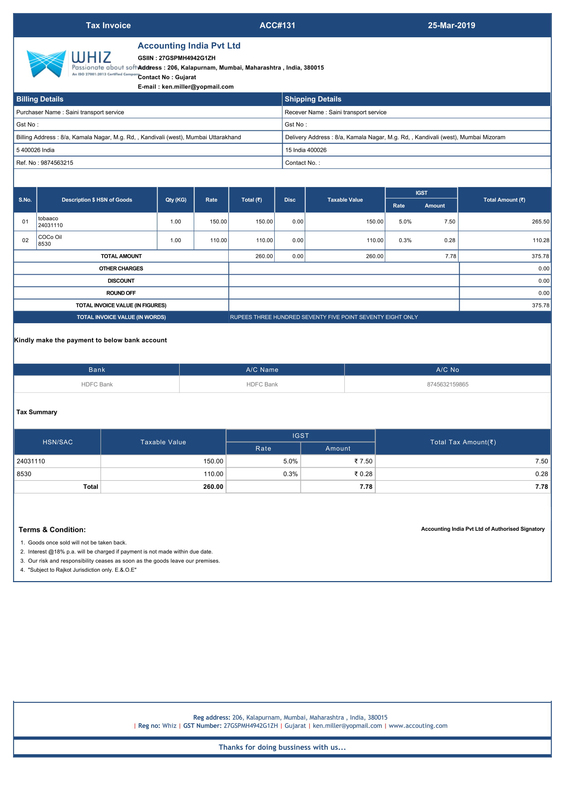 Create your own invoice template. Download in PDF or send an email to a client. Create credit notes for customer refunds. Easy to use interface helps you to create credit notes within no time. Ability to allocate credit note against invoices or record them as money out transaction from the bank. 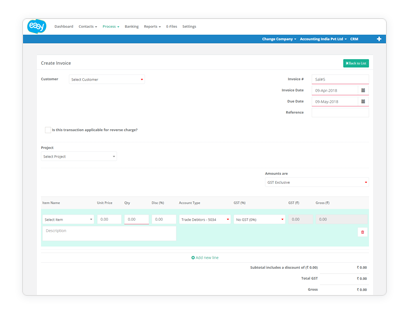 Recurring invoices save your time by creating invoices automatically on defined interval. 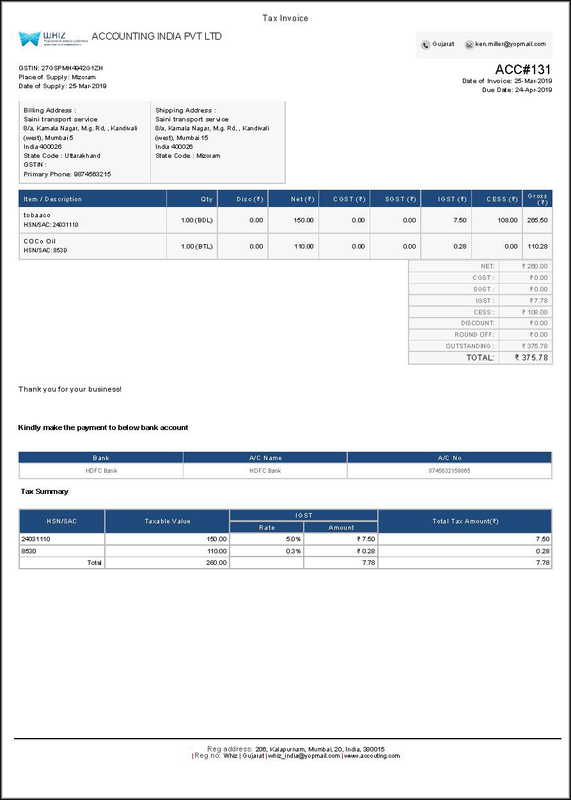 You can also tell system to mark those invoices as paid. Recurring invoices are important when you have to create same amount invoice on definite interval. Easy is now GST ready. Easily file all your GST returns with one click. As you already have your invoices and bills entered in Easy, we will automatically submit them to GST Server.